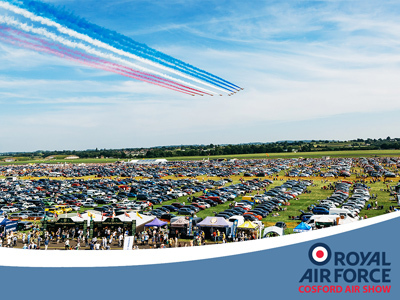 The Royal Air Force's only official air show has set it's date for Sunday 9 June 2019. 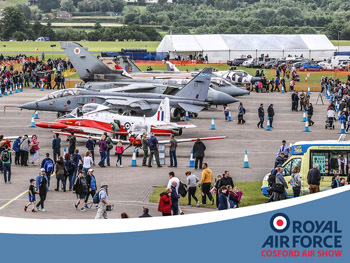 It is one of the largest events in the West Midlands and includes a packed flying schedule along with many other static exhibits, stalls, trade stands, military demonstrations and children's entertainment. 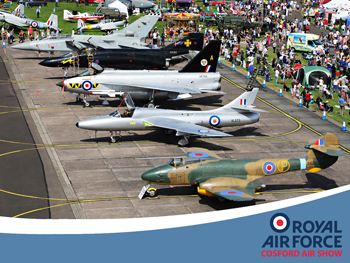 Entry in to Cosford Air Show is by advanced ticket only, it is not possible to purchase tickets on the day. Admission charges apply (Free admission to the Museum is not possible on this date). You can also purchase tickets during a visit to the Museum. 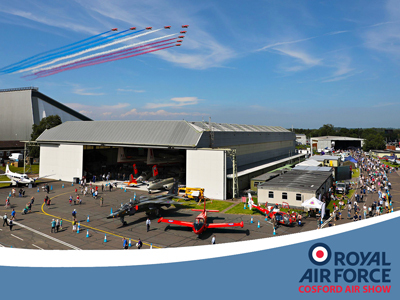 Tickets for the Air Show are on sale from the Visitor Centre, by cash or card (50p transaction fee applies). Air Show Enquiries – T: 01902 377 922 or contact via email.